Starting a dropshipping business is an effective way of monetizing your blog. You only have to post the products and take the orders, then money will come to you. Dropshipping is where you sell products on your site but the manufacturer, distributor, or wholesaler is the one who manages inventory and delivery. Because of its nature, you can have fewer things to worry about and just focus on the upkeep of your blog. To make sure you are up for this new business, here’s a guide to get you a head start. Successful here doesn’t mean you need hundreds of thousands of visitors. There are few blogs created to funnel their dropshipping services, but since you will build your dropshipping business on your blog, it’s better to have an existing audience with your blog. We all know people will support bloggers they believe in and trust. Therefore, before you try adding a new way to earn on your blog, it’s important that you already have a solid following first. Make sure you have a blog that is active and have a decent number of readers and subscribers you can leverage later for your dropshipping business. Look for products that already sell well. Because dropshipping needs no inventory management it’s possible to add thousands of products on your blog, although, that’s not recommended in the early stages. Looking out for innovative and brand new products can be tempting. However, there’s no way to gauge how much success it can give you. For starters, it’s better to sell products that have demand and reviews you can look into. Keep in mind that your products must apply to what your blog is about. 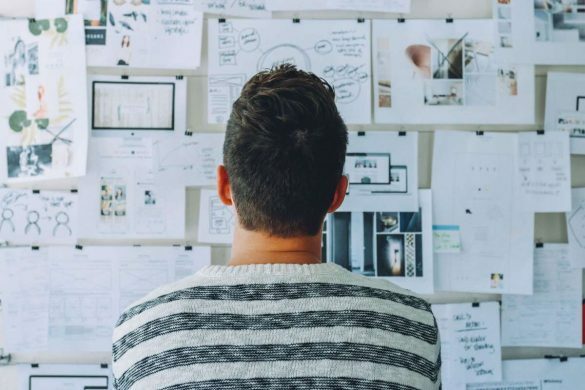 Once you’ve conducted your market research and know which products you want to sell on your blog, it’s time to find trusted manufacturers and distributors. Most of the manufacturers don’t have automated supply chain technology and can’t give real-time information regarding their stocks. You can talk to them to give you a specific number of stocks they can provide for you so you can just set it on your own store. However, this may only work if you’ve developed closer ties with your partners as this may require more effort on their side. Remember that your brand is at stake here. Even though your products are not of your own, your customers don’t really care. The only way to know that the manufacturers you’ve listed out have high-quality products is to buy and see for yourself. This can be counterproductive, but if you aren’t 100% confident about the products you are selling, you are risking your brand reputation. Do they accept return and refunds? There are unhappy customers who’d like to return their purchases from time to time. While this is not your fault, it’s an added cost if you return the product yourself. Check with your manufacturers and distributors what kind of return and refund policy they have so you know what to expect. Item delivery is of high importance. People want their items as soon as possible and some want to know how to track them from their side. Also, if you have several distributors, you need to consider that if a customer orders two products from two different distributors, they will receive two separate packages. This means you will have to shell out two separate costs for shipping and your customers may be surprised having only received one at first. Communicate these to your supplier and customers. Being an entrepreneur grants you with many opportunities but also ties you with unexpected problems. For instance, a customer will return a product to your address. You don’t have to send it back to your distributor and pay for another shipping fee. And if several customers do this, you will be stuck with a bunch of products you still need to sell. You don’t have to manage an inventory of returns in your own home. You can assign it to a reliable third-party fulfillment service that will manage your inventory and delivery. There are people who will still order those products and if you’re not up to delivering them yourself, it’s best to hire a reliable service to do it for you. 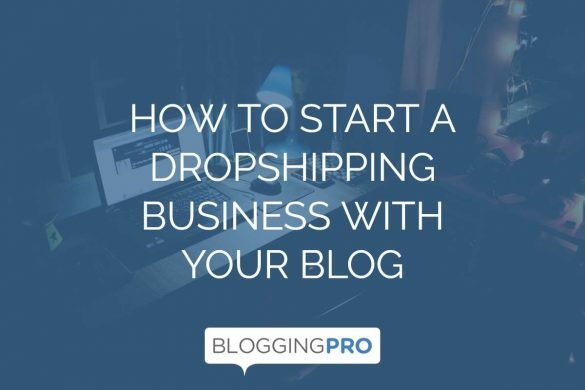 Do you now know how to start a dropshipping business with your blog? Dropshipping seems simple at first, but any business will require patience and hard work. If you need more information, here’s a thorough guide on how to start a dropshipping business. Great tips! I believe that dropshipping could be a way for people to monetize their blogs more efficiently. More money in it rather than relying on banner ads or Adsense.